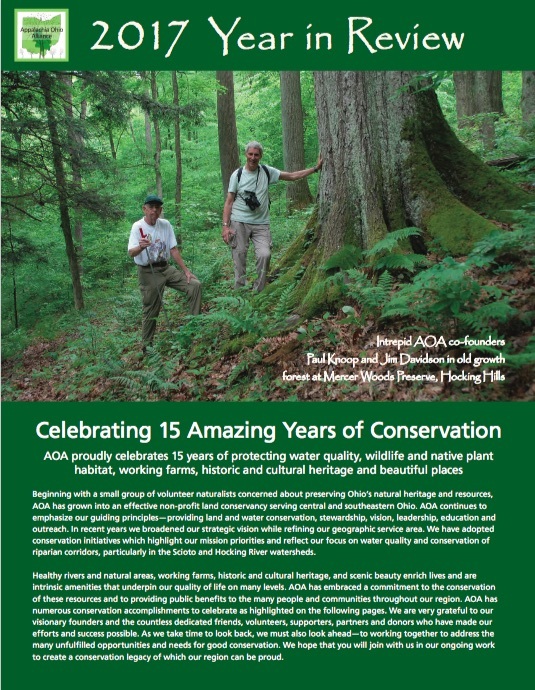 This is AOA’s largest preserve, at 1205 acres. It provides an important wildlife corridor between the Trimble Wildlife Area and the Wayne National Forest. The ‘TTCF” was acquired through grants from the Clean Ohio Fund and the Ohio Division of Wildlife, and is managed in partnership with the Division of Wildlife, the Sunday Creek Watershed Group, and Appalachia Ohio Alliance. 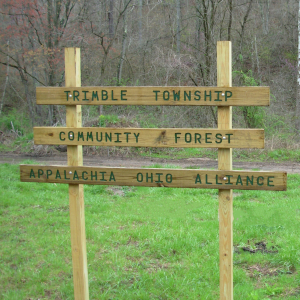 The preserve also serves as a land lab for Trimble High School, located about a mile away. The property fronts Derthick, Taylor Ridge, and Bethel Ridge Roads in Athens County just north of the town of Glouster. The preserve contains hardwood forest, clean-running streams, and a beaver-pond wetland in the center valley. An expansive network of pre-existing oil-well roads allow easy access for hikers. Future plans include an improved trail system, reclamation of unused oil well roads, and school projects to support the land lab. Public access for hiking and hunting is permitted without charge.